Android 4.1.2 Jelly Bean Firmware Update is officially available for Galaxy Nexus Smartphone and Google Nexus 7 Tablets. If you have Galaxy Nexus and Nexus 7 Android devices than you can Manually Update old Android Firmware to Android 4.1.2 Jelly Bean Firmware which supports many new features, fixes several bugs and boost performance of Android devices. Users of Nexus 7 and Galaxy Nexus can Check Jelly Bean Android 4.1.2 Firmware update through Over-the-Air (OTA) procedure and can directly Download and Install Android 4.1.2 Jelly Bean Firmware On Nexus 7 and Galaxy Nexus without any further process, but if you don’t have an Internet Connection or OTA process available on Nexus 7 and Galaxy Nexus than you can follow our Galaxy Nexus and Google Nexus 7 Android 4.1.2 Jelly Bean Manual Update Tutorial and Guide for the installation of Jelly Bean Android 4.1.2 Firmware via manual process. 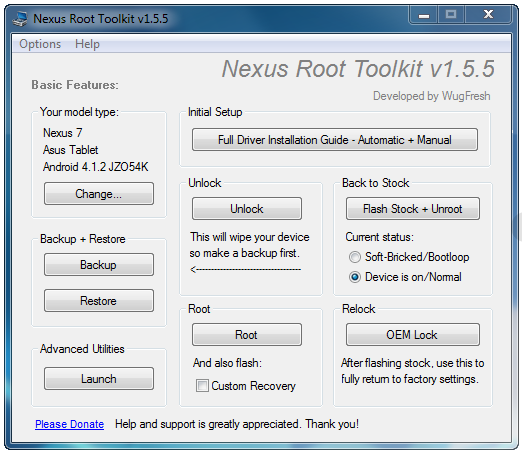 If you have Galaxy Nexus Smartphone than you will need to make sure that your device is flashed with the takju firmware and you will also need to ensure your device is rooted / bootloader unlocked, and ClockworkMod Recovery flashed, if it’s not Flashed or Unlocked, than you can easily Flash and Unlock Galaxy Nexus Smartphone with All-In-One Nexus Root Toolkit available Here and If you have a Nexus 7 Tablet than you will need to Root Nexus 7 and Flash ClockworkMod Recovery via tutorial and guide available Here. Now lets start the Tutorial and Guide to Manually Update Jelly Bean Android 4.1.2 Firmware On Nexus 7 and Galaxy Nexus. Step 1: First Download Android 4.1.2 Jelly Bean Firmware for Galaxy Nexus and Nexus 7. Step 2: Transfer it directly into your desire /SDcard on your Galaxy Nexus or Nexus 7’s storage or (root directory). Step 3: Reboot your Android device into ClockworkMod (CWM) Recovery. Step 4: Navigate to install zip from sdcard > choose zip from sdcard and then select the file you transferred to your Galaxy Nexus or Nexus 7 in Step 2. Step 5: Let's ClockworkMod (CWM) Recovery tool do the rest of things. Step 6: Now Select Reboot system now from the main menu. Congratulations!! 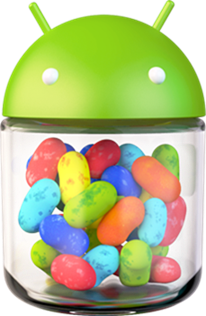 You have successfully Updated and Installed Jelly Bean Android 4.1.2 Firmware On Nexus 7 and Galaxy Nexus. You can confirm your Android's Firmware version by going to Settings > About. Enjoy! !